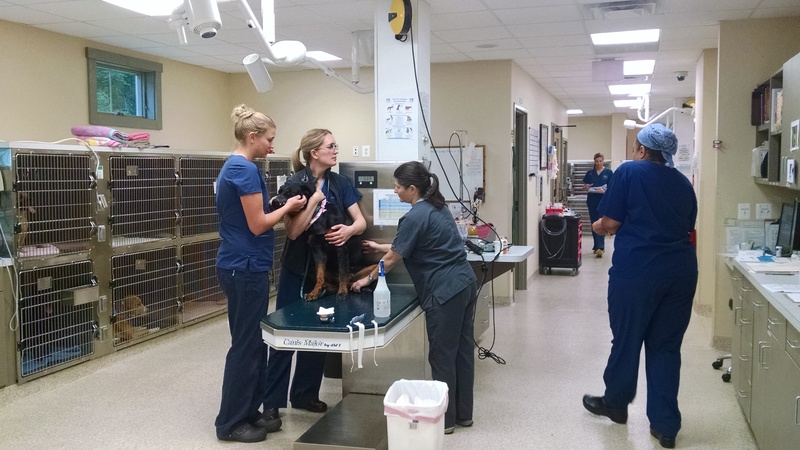 Last Sunday, a group of LVH doctors, technicians, and assistants met bright and early at the hospital to spay and neuter pets up for adoption at a local rescue. While many people were taking advantage of the weekend to sleep in or soak up some summer sun, our team was busy in the surgical suites, getting six animals from the Humane Society of Washington County, MD ready for their forever homes. Volunteering their time and skills on a day off was both rewarding and educational for our staff; several LVH employees are studying to become Licensed Veterinary Technicians and had the opportunity to get some unique hands-on experience and instruction from our doctors and current LVTs. Throughout the day, Dr. Kloer and Dr. Doering got some great shots of the team in action. Pre-surgery prep on an early Sunday morning at LVH. 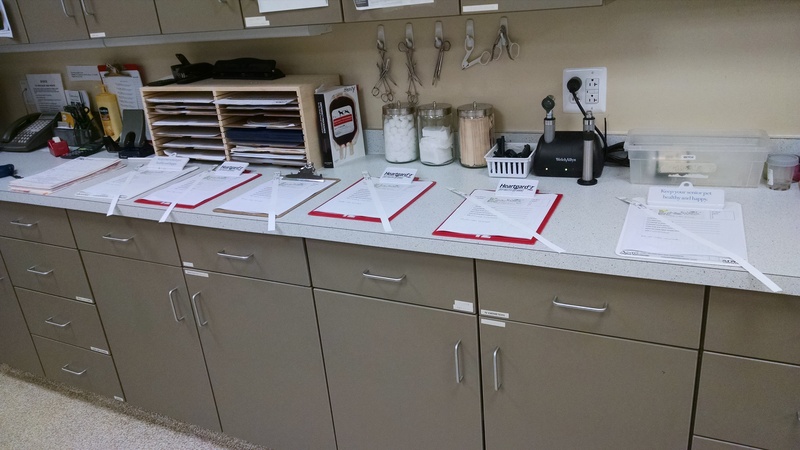 ID collars and paperwork are ready and waiting for our weekend patients. 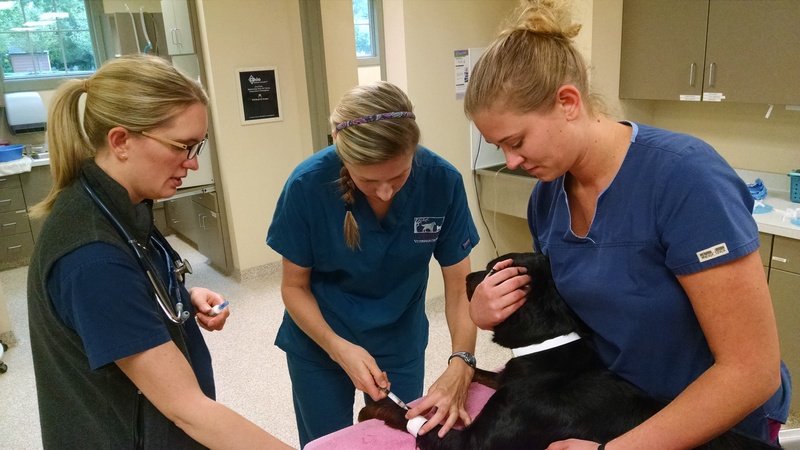 Laura, Dr. Doering, and Joanne prepare to place an IV catheter in this sweet, but scared Rottweiler mix. She was not being aggressive, just a bit fearful, so she was muzzled for staff safety. Once she was sedated and calmed, the muzzle was removed. Joanne and Travis place a catheter in this sweet little girl named Secret. Constant and secure IV access is a standard for anesthetic and surgical procedures at all AAHA hospitals. 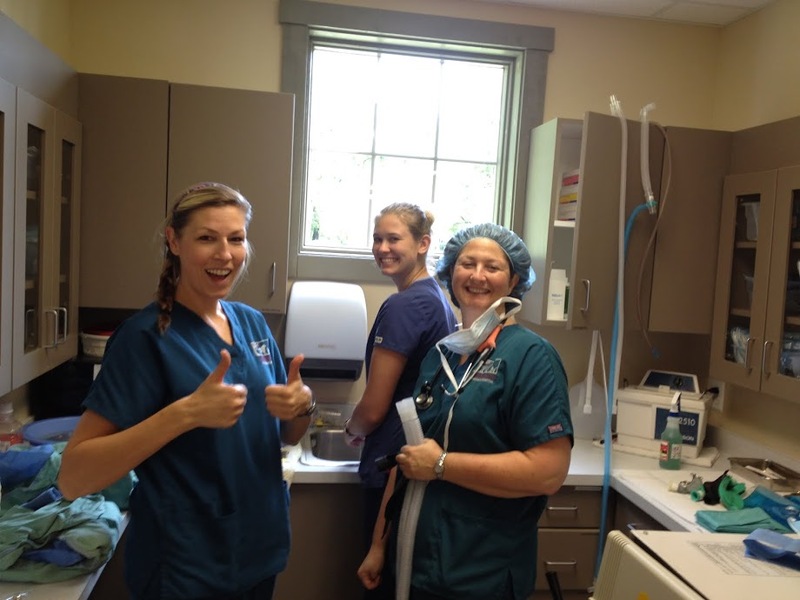 Dr. Doering instructs Ashleigh on anesthesia induction, while Laura gently holds the patient. 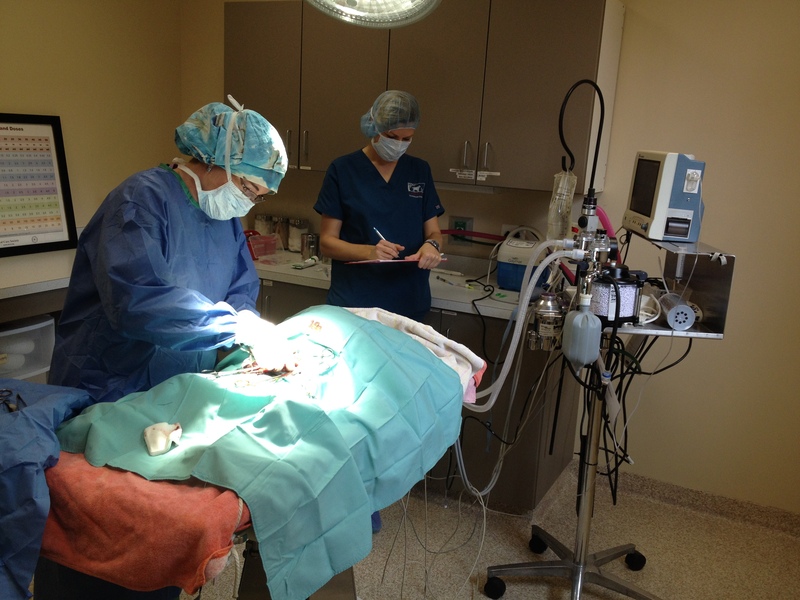 In surgery, Dr. Kloer spays one of the female canines while Ashleigh monitors anesthesia and patient vital signs. The tech and doctors are always in communication to ensure smooth anesthesia and the most safe but efficient surgery. Any complications (which are extremely rare, as great effort is taken to prevent them) are addressed immediately. The most common finding is below normal blood pressure. This is commonly treated with additional IV fluids and fine anesthetic depth adjustments. 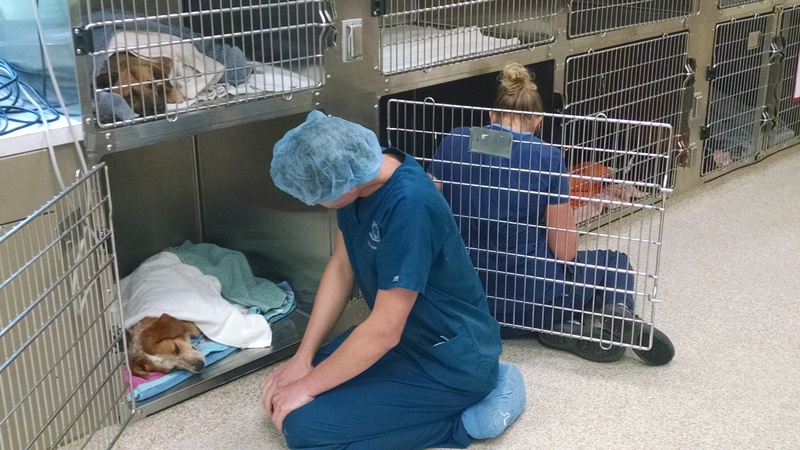 Post surgery, Travis and Laura monitor the patients as they recover from anesthesia. 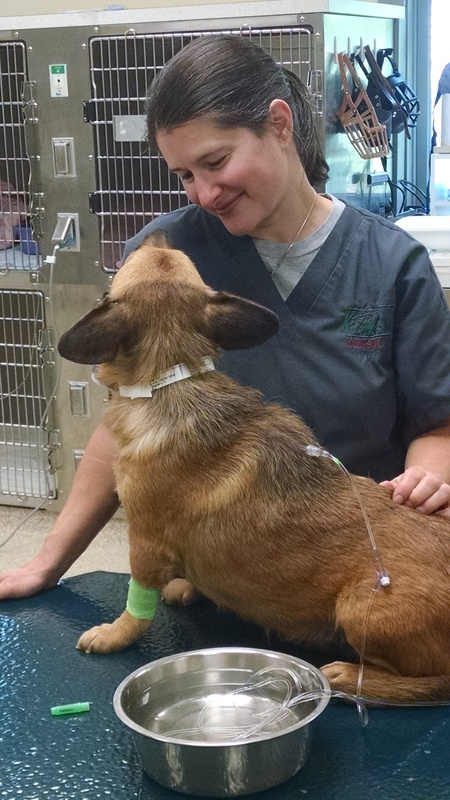 Joanne administers warm subcutaneous fluids to an older female canine patient who needed a little extra hydration following her surgery; she recovered very well! Ashleigh, Laura, and Sue smile after a job well done! Clean up was accomplished as a coordinated team effort. Happily, most of these patients have already been adopted, but The Humane Society of Washington County has many other cute canines and furry felines looking for their perfect home. Check out their adoption gallery, here. 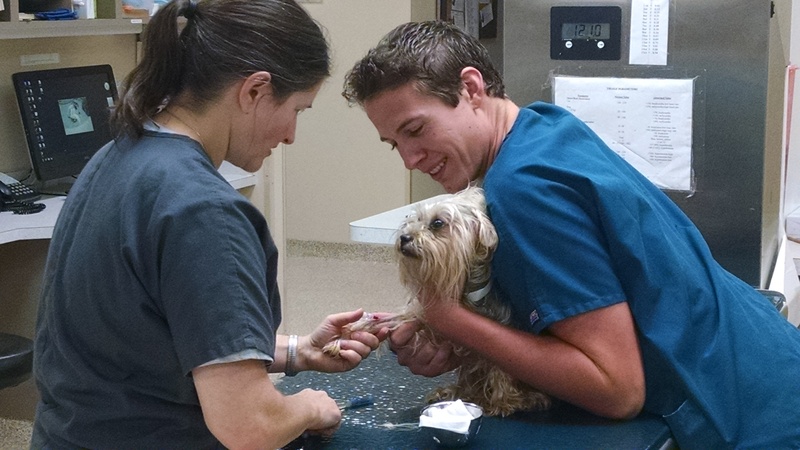 ← Case Study: Heartworm disease hits home.